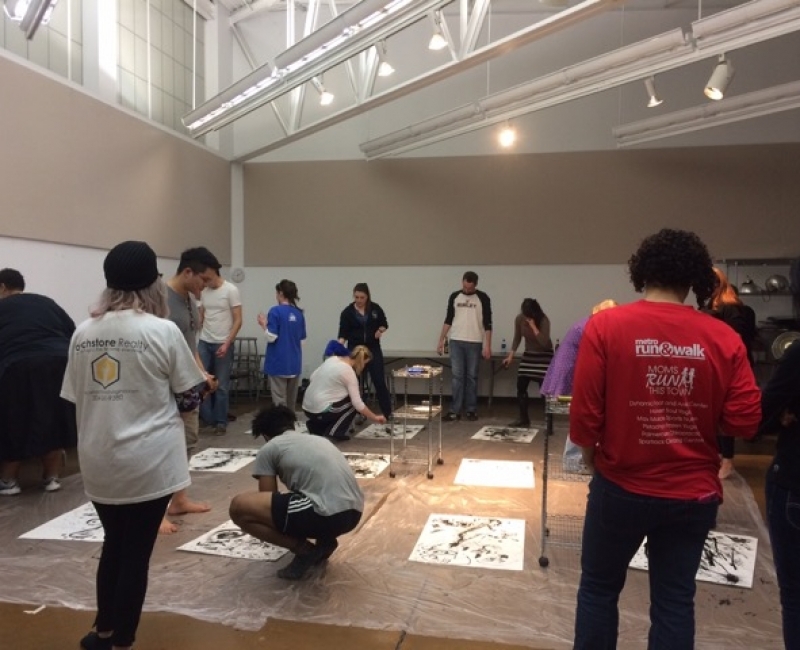 The McLean Project for the Arts offers over 150 visual art classes each year taught by professional artist-educators for adults, teens, and children. From Drawing to Painting to Mixed Media and even Technology-based art classes, MPA offers art courses for all skill levels and interests. 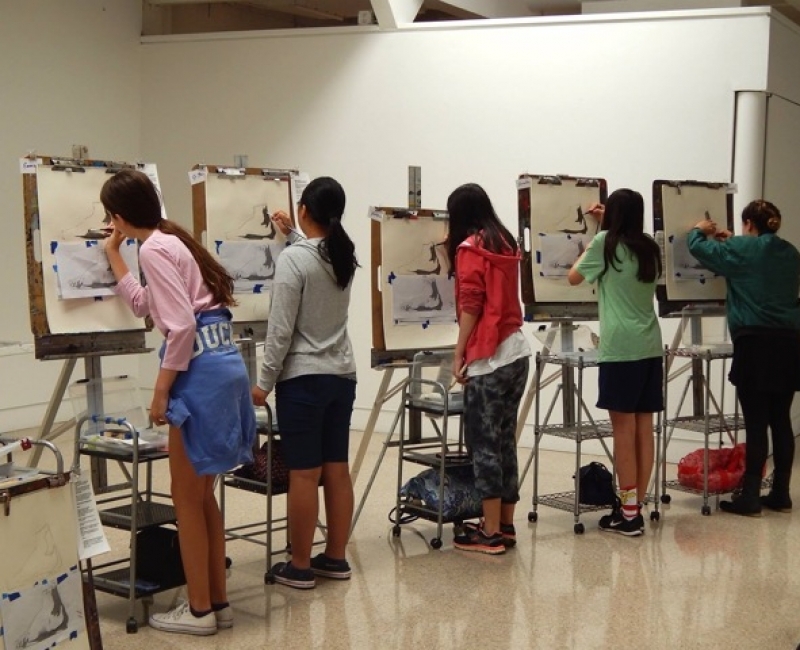 MPA visual arts education also includes artist talks and workshops, family art workshops, summer art camp, and MPA’s exciting new ArtFocus lecture series. Most of MPA’s classes are held in the beautiful, light-filled Susan B. DuVal Studio at the McLean Project for the Arts. The MPA Education Program is currently planning exciting new opportunities to expand visual arts education for the community. This includes a sequential track program to deepen and fulfill drawing, painting, or a general survey proficiency for both youth and adults, and a Classical Drawing and Painting Program for teens ages 13-18. Beginning in January 2018, MPA will hold classes at both MPA@Chain Bridge (1446 Chain Bridge Road, McLean, VA 22101) and in the DuVal Studio at the McLean Community Center (1446 Chain Bridge Road, McLean, VA 22101). MPA follows McLean Community Center’s inclement weather policy. We encourage students to sign up as early as possible! As our registration goes through the McLean Community Center Registrar, we need to make the decision to cancel by the Wednesday before the class begins if a class does not have sufficient enrollment (4-5 students). When does MPA issue a refund for a class or camp? MPA issues refunds when MPA cancels a class or activity. MPA also issues refunds when it changes a class or an activity and the change makes it impossible for the participant to continue with the class. Please note, MPA cancels a class one week prior to the start date if the class does not meet minimum enrollment. Once a class, camp or activity is in session, refunds may be granted only for medical reasons or for extenuating circumstances as determined by the McLean Community Center. Patrons who submit refund requests 14 days or more before the start date of a class or activity, will be granted a full refund, minus a $25 processing fee. Refunds requested less than 14 days before the start date of the class or activity will not be granted; the amount paid for the class can instead be credited to that individual’s account and can be applied to another art class. Prorating classes: Prorated class requests must be made in writing to info@mpaart.org. MPA and McLean Community Center will determine on an individual basis if prorating the class is appropriate. All requests and questions must be submitted in writing to info@mpaart.org. Refunds will be made through the McLean Community Center, according to the type of payment received; if the fee is paid by check, a refund check will be issued by Fairfax County within four (4) to six (6) weeks of the date on which the request is received. 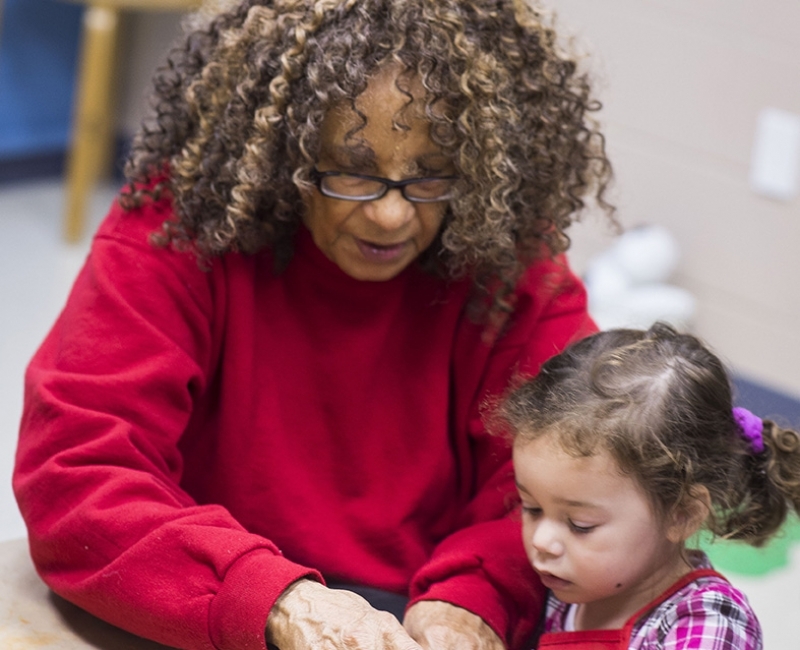 MPA follows the McLean Community Center’s policies. Model fees are calculated based on the number of students enrolled. The day before the class begins, students will be emailed the amount, if required, and must bring in a check addressed to MPA on the first day of class for the model fee.